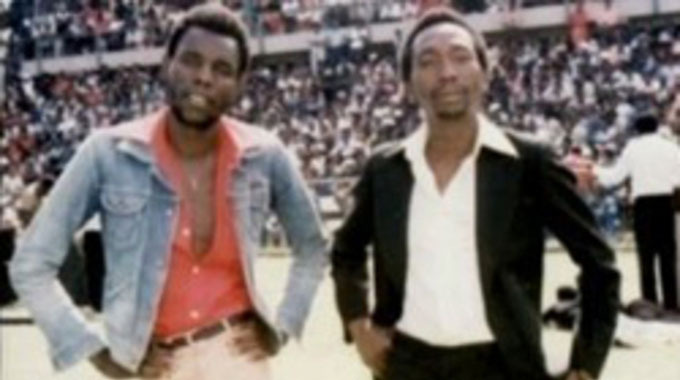 Thomas “Mukanya” Mapfumo says he is looking forward to a colourful reunion with his friend Oliver “Tuku” Mtukudzi when the two share the stage at the former’s homecoming bira set for Glamis Arena on April 28. In an interview from his United States base over the weekend, Mukanya said he last performed with Tuku in 2011 at the Standard Bank Arena in Johannesburg, South Africa, when they did a song together. He described Tuku as his friend of many years and accused some people of trying to create enmity between them by claiming that their relationship is punctuated with feuds. He said people that make such claims are liars. Last year Mukanya told a local publication that he missed Tuku and the upcoming bira is likely to be an exciting moment for both musicians. It will definitely be an exciting occasions for their fans. In our interview over the weekend, Mukanya revealed he is working on a collaboration with Tuku and they had briefly laid a groundwork for the duet when they met in South Africa. They are finalising the collaboration and will officially release it when everything is done. “We played it (the duet) in Johannesburg but it’s something we are still working on and once it’s finalised we will be releasing it officially,” said Mukanya. “Over the years they have been reports of bad blood between me and him but I can assure you that those are lies. Mukanya said their working relationship had no boundaries since they deeply understand each other musically. “We have been good friends since we were young, in the late 70s to be precise. We are still buddies, we communicate here and there, tinonzwisisana chaizvo munyaya dzemusic. Long back we used to tour the country together and takabva kwaMutare neBlacks Unlimited using the same instruments. Mukanya’s homecoming bira is likely to be historic and organisers of the concert, Entertainment Republic, said the tickets are selling fast. “The tickets are selling fast and the response is overwhelming. It will be a historic show. We knew it would be big, but it is proving to be a bigger event than our anticipations. It is good that we have known the magnitude of our event early and we are putting all systems in order so that everything will flow smoothly,” said Tendai Johannes of Entertainment Republic. Mukanya also expects it to be a historic event that will likely match his biggest show so far that was held at Boka Tobacco Auction Floors. It was his first show in the country after relocating to the United States. Besides his expected reunion with Tuku and their reciprocal understanding of decades of Zimbabwean music, Mukanya said he appreciates some musicians from the younger generation that are doing well to keep traditional music alive. “I appreciate a lot of musicians from this generation, I can single out Zivai Guvheya who is now based in England, he is a very talented youngster and he used to be my lead guitarist. “Zivai is one of the few youngsters who is playing our traditional beat so at least I am happy that our music will not die. “There is also another talented young musician Rudo Chasi, who is a daughter to a friend of mine. Other local musicians that will perform at Mukanya’s homecoming bira include Suluman Chimbetu, Winky D, Andy Muridzo and Gary Tight.